Photo: Colliers Moss, part of the Mersey Forest area of St Helens. 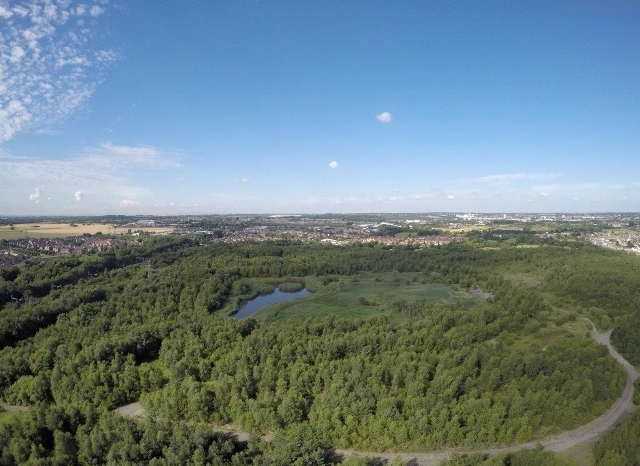 St Helens Council and The Mersey Forest are inviting residents to join them at Colliers Moss this Saturday (14 May), where a Family Nature Day is to take place. It’s a celebration of the completion of major works to improve the natural landscape, opening it up for public enjoyment. The works included enhancement of entranceways, improvements to paths, and clearing back vegetation that was unmanaged for many years. The event is also a chance for residents to give their feedback on the improvements, and to get involved in the planning of future activities at the beautiful green space. Family activities on the day include den making, flower and fungi foraging, Nordic walking and a bird box quiz. Event-goers can also make some refreshing and healthy drinks on the ever-popular ‘smoothie bike’. Come along 11:30am-3:00pm, Saturday 14 May. Find Colliers Moss at Parr, St Helens, WA9 3RL. Entrance is on Brookway Lane, near Moss Lane.